Davido Music Worldwide, DMW have recorded yet another victorious feat at the just held City People Music Awards 2018 edition, as they win big. 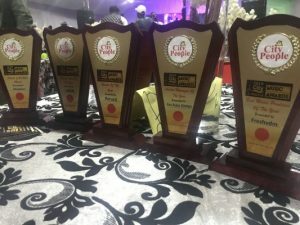 DMW turned up the biggest winners of the glamorous night with six-award wins. Dremo emerged tops in the best rap album category for the CODENAME: DREMO (EP) project while Mayorkun won the most coveted title of the night being the artiste of the year.